DeShong's Gift Back cultivates two farms. One is in bustling Loudoun County, Virginia, and one is located in rural Macon County, North Carolina. In Loudoun County, close to the nation's capital, we rub shoulders with some of the wealthiest citizens in the country. However, due to the high immigration rates, government layoffs, and the ongoing recession, over 10,000 children in this community are struggling with hunger. DGB is the only provider of fresh produce to area food banks and shelters. Macon County, in the North Carolina mountains, is a remote and troubled area; the population below the poverty line is 25% higher than the national average. We work with food banks to distribute our produce in the community and connect with local churches to reach the neediest members of their congregations for critical home repairs. 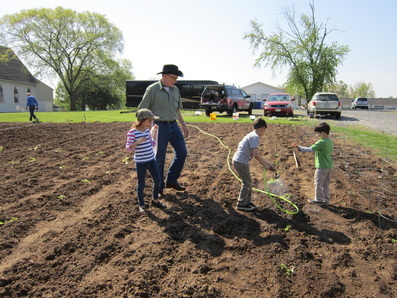 In 2011, DGB took in our first harvest and donated 30 bushels of potatoes, 1,000 ears of corn, 30 bushels of green beans, 2 bushels of turnip greens, 5 bushels of cucumbers, and one bushel of okra. 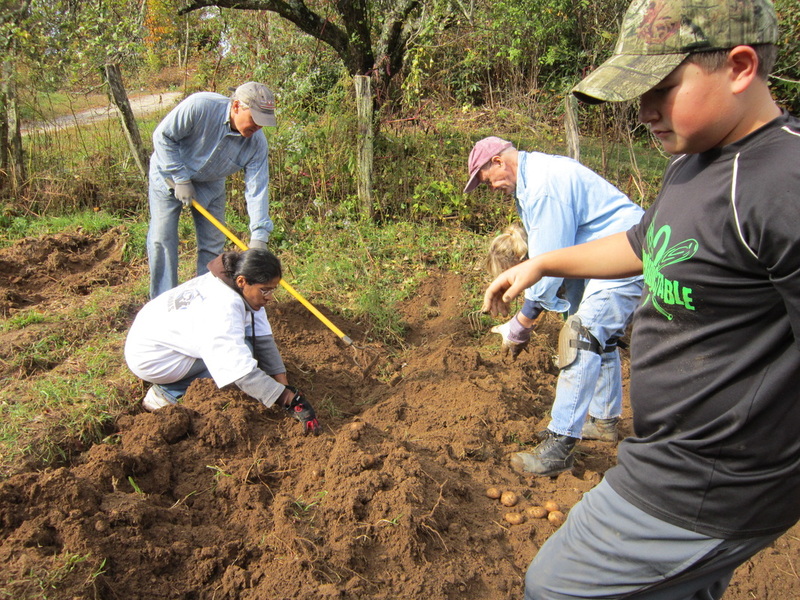 In 2012﻿, DeShong's Gift Back grew and donated 30 bushels of potatoes, 900 ears of corn, 35 bushels of green beans, 2 bushels of tomatoes and 1.5 bushels of cucumbers. In 2013, DeShong's Gift Back grew again and donated 16 bushels of potatoes, 10 bushels of zucchini, 20 bushels of yellow squash, 4 bushels of spaghetti squash, 2 bushels of butternut squash, 11 bushels of tomatoes, 12 bushels of cucumbers, 6 bushels of melons (cantaloupe and honeydew), 4 bushels of green peppers, 3 bushels of hot peppers, and 125 ears of corn. In 2014, 2015, 2016 and 2017, we have produced more than ever before. And, we are helping those in need with home repairs, paying bills and buying groceries when funds allow.